What is imagination? Can we measure it? When and how do you use your imagination? Do different disciplines engage and treat imagination differently? Is imagination important in academic studies, the working world, or life? What would it be like to not have an imagination? How could you get others to manifest their imaginative and creative thinking? Barry, Lynda. 2008. What it is. Montreal. Dawn and Quarterly. An extract called 'Two Questions' can be found by clicking here. Hyde, Lewis. 2007. The Gift: How the creative spirit transforms the world. Edinburgh. Canongate. This can be found in the library or a pdf version can be found by clicking here. Jackson, et al. 2006. Developing Creativity in Higher Education. Oxon. Routledge. This can be found in the library and the whole collection is worth a read. However, if you're a Warwick student head over to the readings page to access some scanned chapters. Lehrer, Jonah. 2012. Imagine: How Creativity Works. New York. Houghton Mifflin Harcourt. This is no longer in print (for very interesting reasons which we may well discuss) but if you're a Warwick student you can find some extracts on the readings page. Horizon. 2013. 'The Creative Brain: How Insight Works', television programme, online, broadcast 23:20 19/3/2013, BBC TWO, 70mins. http://bobnational.net/record/142478, (Accessed 16/09/2014) N.b. the Horizon episode does not start until 03:40. In order to access Box of Broadcasts (BoB) National, you will need your Warwick email address. "Twinkle, twinkle little star, How I wonder what you are." Some things puzzle, surprise, and delight us to the point that we have an overwhelming desire to know more about them…even if we're not sure exactly what it is we want to know. It may be a beloved childhood book, a troublesome mathematical formula, or a breath-taking view. These moments of wonder are some of the most inspirational in our lives. They spur on our imagination and act as the catalyst for creativity. They are, however, very individual and personal experiences. Should we wait to see if they happen on their own or is there a way of creating a situation conducive to their arising? This week will explore wonder and its facilitation in childhood, adulthood, education, and the working world. You will also reflect upon your own and other's moments of wonder as you look towards week 6's creation of an imaginative stimulus. Thoughts: Can you think of an animal or person that captures your imagination or makes you wonder? Can you express why? Do you think your explanation does the thing and the feeling justice? Thoughts: What do you think is going on here? Does the poem mean anything? Read the paragraph after the poem, do you agree with Alice? Thoughts: Can you think of anything on earth (animal, plant, event, emotion...anything) that really baffles you? Can you come up with an origin story for it? Thoughts: The first few pages are here, but where would you go from there? Thoughts: What would your seven wonders be? Why? For those of you looking for some theoretical and academic heft, resist the urge to do the further reading until after the class! N.b. This book (and many more) can be found at www.scribd.com. At time of writing they offer 1 month free access...make the most of it! This session will focus on the ideological imagination, especially the extent to which 'left-right' continues (or not) to define the horizon of political possibilities. In this context, it will introduce 'up-down' as an alternative to the left-image that has dominated the ideological imagination over the past two centuries. Nick Barker runs a schools outreach programme in the Chemistry Department. His work has been described as 'Outward Bound with test tubes'. He believes that this programme can inspire people to believe in themselves and will attempt to show you how and why. In the mathematics portion of this module we will approach the use of imagination in this discipline via the visualisation of objects in three dimensions, and higher. Much of post-school mathematics explores weird and wonderful worlds where we prove, and use, the existence of objects which cannot be made in the flesh, and can therefore only exist in the minds-eye. 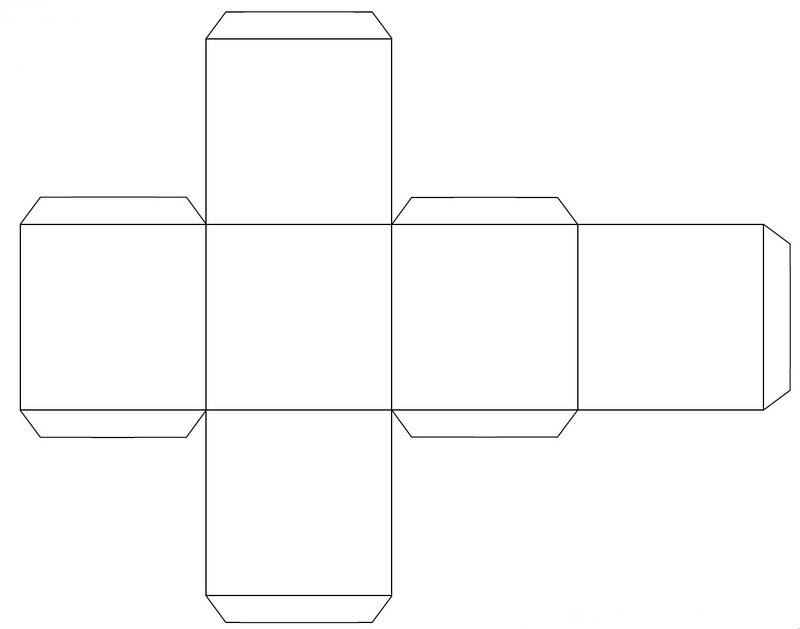 As a warm-up exercise it will be useful to be able to have a cube in front of you, so please print out, cut out, and stick together the attached net. Decorating the cube is obligatory! The cube can be found by clicking here! Preface and chapter 1 from Imagining Numbers by Barry Mazur. Click here. Flatland: A Romance of Many Dimensions by Edwin A. Abbot (first three sections especially). Click here. This workshop will explore the role of the imagination in theatre and performance, with particular reference to theories of play and studies of failure. Extracts from the below texts - found by clicking here. How do we interpret, or re-create, a composer’s music for an audience? Are there a processes or techniques that we use? Is the performance of classical/pre-composed music a craft or a creative skill - or something in between? How do we define Creativity and Imagination in music? How do we learn to play expressively and with imagination? Is it an intellectual process, something that is achieved purely by assimilation of a received language of expression, or a combination of the two? As came up in the seminar you may want to look into examples of films or television involving no, or very little dialogue, and relying heavily on music (such as The Artist (2011) or 'Hush' (Buffy the Vampire Slayer (S.4, ep. 10)) or involving no music at all (such as Alfred Hitchcock's The Birds (1963), The Blair Witch Project (1999), Cloverfield (2008), or 'The Body' (Buffy the Vampire Slayer (S.5, ep.16)) and ask yourself about the role music is or isn't playing in these. This session will look at where imagination takes place by exploring our thinking organ: the brain. In this context it will introduce some neuroscience elements that will enable student to better their understanding on what the brain is, its constituents, and their roles in explaining imagination. Buckner, R. L. (2010). 'The role of the hippocampus in prediction and imagination'. Annual review of psychology, 61, 27-48. Industry depends on the imagination in order to generate new ideas for products and services. This is especially true for the creative industries where imagination provides the raw material for new cultural products from music to video games. Sociological literature describes cultural production as a social process; for managers this relates to the challenge of building creative teams and organisations. How do our ideas about imagination relate to the role of teams within organisations? How can creative teams work together to generate new ideas? What kind of dynamics and challenges arise within a creative team? How can managers encourage and promote innovation in teams whose key task is to continually generate creative ideas? This workshop will examine how collective imagination can be facilitated and managed in a collaborative context. Extracts from Edward de Bono's Six Thinking Hats. Click here. Before the session you will be given a colour. Pay particular attention in the reading to your colour and see if you can find out more about about your colour in relation to de Bono's theory. Create a hat of your colour for the seminar...there will be a prize for the best hat as an external motivator! Tutors will give support and guidance as to what the relevant 'equivalent' is depending on what type of project you decide to undertake. You will be given tutor support both when planning your imaginative stimulus and devised assessment and when bringing them to fruition. This will include some one-on-one time with a module tutor. The university also has a wealth of technological and creative resources which will be highlighted to you and aid will be given in obtaining and using them. A full rubric can be found by clicking here. Imaginative Stimulus: Due at noon, Monday, week 7, term 1, 16th November. Student Devised Assessment: Due at noon, Thursday, week 1, term 2, 14th January. Due at noon, Thursday, week 1, term 2, 14th January. Please see the IATL handbook for general information on how to submit your assessments and the AI rubric for advice specific to this module.